Dan Humphreys graduated with a BA (Hons) in Professional Musicianship in 2008. He has since been constantly in demand for his versatility on electric and upright bass, and his music preparation skills. Whether in the studio, in the orchestra pit or on the stage at stadium rock gigs, Dan feels at home in any number of different musical scenarios. He also greatly enjoys playing jazz for both small ensembles and big bands. Some of the artists he has worked with include: Pixie Lott, The Proclaimers, Buddy Greco, Craig Revel-Horwood, Kim Mezel (Maceo Parker), 911, Liane Carroll, Ray Lewis (The Drifters), Jaki Graham, John Cameron, Chico, Sonia, Bucks Fizz, Magic of Motown, Motown USA, Angie Brown, Joe Stilgoe, FreshSteps UK, Dan Koek, Tom Fitzpatrick and many more. 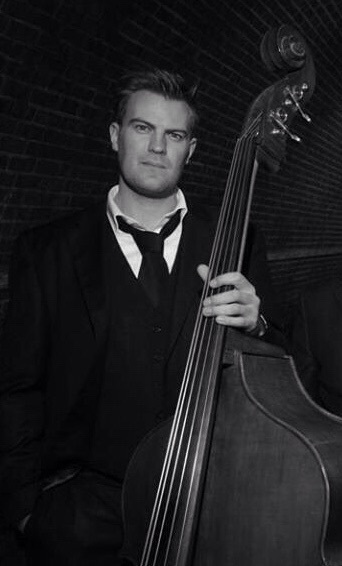 Dan can also be heard playing double bass on the “Stella Artois” adverts and throughout Sky 1’s comedy “Spy”. Dan has taught and lectured across the South East for institutions including: Sussex University, Sussex Downs College Eastbourne & Lewes, Dulwich Preparatory School and Bedes Senior School, as well as teaching at various secondary schools such as Willingdon, Causeway and Ratton. He has also been involved with the East Sussex Music Service, the Access to Activities scheme, and Bonners and Sussex Music Schools. He has had a private teaching practice for over 10 years, with many of his students going on to a career within the music industry. 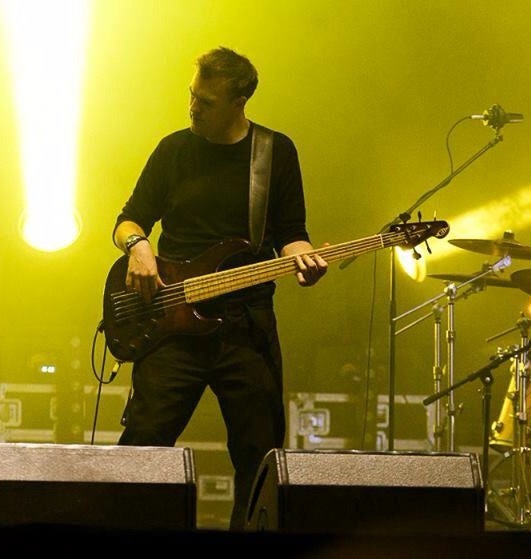 He is currently the head of the Bass Department at The Powerhouse Music Academy. 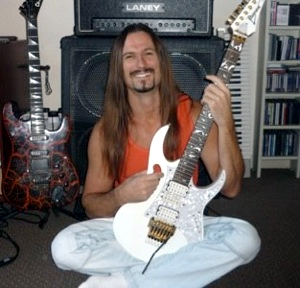 Jason has enjoyed playing the Guitar for over 30 years and is a very popular teacher with over 20 years experience. He has been involved in many genres of music such as Rock, Metal, Folk and Blues. Jason’s philosophy on teaching is all about having fun whilst learning and only playing what you truly love as this always encourages practice. (no boring set pieces). Jason is a very patient teacher and always inspires his students with his passion and open minded approach to music. Whether you are a complete beginner or want to improve on what you’ve already achieved, one to one tuition with Jason will be the most beneficial. If you would like to learn about songwriting, recording, theory and improvisation you have found the right teacher for you. Lessons are available for electric and acoustic guitars. Bass and mandolin tuition is also available. Any ages welcome. I have been playing guitar and bass professionally for over ten years in various situations, including original bands, function/cover bands, session work and international touring. I have taught for over eight years, working with children and adults in one-on-one and group settings. I play all styles of guitar such as slide, rock, metal, funk, reggae, blues, jazz, flamenco and country, with specialization in creative rock guitar techniques. Teaching between Hove and Eastbourne, I am a friendly, flexible teacher, either taking you through my own syllabus or tailoring the lessons to focus on any aspects of your playing you wish! Project-based sessions are available and exclusive to The Tone Workshop! I will work on any area or problem chosen by you using a full, modern digital recording studio setup (studio lessons available in Hove only). Some common project topics covered are: Timing, tuning, tone, composition, session skills, equipment and effects, transcription/notation, recording parts and harmony guitars. One-to-one lessons are delivered in one hour sessions either at The Tone Workshop or the client’s location, paid for in advance in blocks of four lessons. A single introductory lesson is available to try me out. Group lessons are done at my premises and are most suitable for friends and siblings wishing to share the cost. I am CRB checked and hold a degree (BA Hons) in Professional Musicianship from University of Sussex (BIMM). Trinity or Rockschool grades and exams can be followed if required. Get in touch and we can start working on your playing now! I started playing in 1972 and have been professional since 1975. I play double bass and bass guitar, play everything from pop to jazz and blues to prog. I have worked with, among many others, The Enid, Ray Fenwick (Ian Gillan, Spencer Davis), Jan Akkerman (Focus), Brian May (Queen), Tom Robinson, Paul Jones (The Blues Band), Eric Burden (The Animals), Cozy Powell (Rainbow), Ian Mosley (Marillion), Don Airey (Deep Purple), Keith Emerson (ELP), Steve Hackett (Genesis), Bonnie Tyler, Graham Bonnet (Rainbow), Liane Carroll, Bobby Wellins, Pete King, Don Weller, Art Themen, Alan Barnes, Gilad Atzmon, John Etheridge, John Donaldson, MarkEdwards, Carleen Anderson, Cubana Bop, Kim Wilde, Samantha Fox and Dame Vera Lynn! Keith has a lifetime of experience playing bass guitar. The acts he has supported or done sessions for reads like a who’s who of contemporary rock and popular music. He is in addition a talented flamenco artist. Keith is Principal guitar tutor at Eastbourne College.